Last Saturday afternoon my friend Joe told me one of the most incredible stories I've ever heard. Then Sunday night during dinner I heard another outrageous story, this time from my girlfriend. When I went into work Monday morning, my co-worker was eager to tell me about something unbelievable he'd experienced over the weekend. Later in the day, when I asked everyone what they thought of the gargantuan, explosive thunderstorm that hit Austin on Saturday night, I heard another ridiculous story. All of these were so stunning, so unreal, that I feel I must share them all here. I promise these are all true. 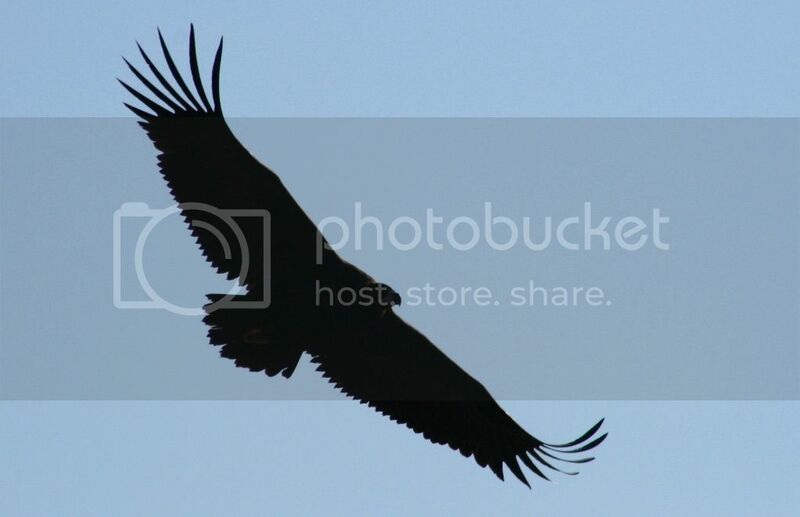 Story #1: While standing in Joe's backyard, a large bird with an enormous wingspan floated above us ominously. I've come to learn that these huge lofting birds are actually black vultures looking for prey. I recently saw one on the side of the road picking at a dead squirrel. As we paused in awe of the floating feathered creature, Joe began to tell me the astonishing story of when the "hawk" (as he called it) crashed through his living room window. I laughed at his attempted joke. He assured me he was serious. One afternoon last week, as Joe was in the bedroom, he heard a loud crash of shattering glass come from his living room. Thinking someone was trying to break in, he rushed over to find a huge hawk had crashed through the window and landed on his living room floor along with another much smaller bird, its prey. His dog Roscoe stood stunned and Joe watched as the big bird collected itself and jumped back through the broken window into his backyard and then flew away. It left its prey behind. The smaller bird was dead, blood coming out of its mouth. Joe disposed of it, cleaned up all the broken glass, and went out to buy a new living room window. Story #2: As this one involves a human victim, its a bit scarier and more disgusting. During dinner on Sunday night, my girlfriend relayed to me the story of how her co-worker (let's call her Brenda) and her girlfriend were attacked in broad daylight here in Austin just recently. One might conclude that it was a violent hate crime perpetrated on two lesbians but the circumstances seem to paint the attacker as a maniac eager to do damage to any random person he came across that he didn't like. Brenda and her girlfriend were riding bikes together one afternoon when they noticed a jogger fast approaching them from the opposite direction. Brenda signaled that they should get over into the street and then did so, but her friend didn't receive the message. Suddenly the oncoming jogger smashed Brenda's friend with a full body check, knocking her off her bike. When she started to get up he ran and knocked her down again. Before she knew it, he'd pulled out a paring knife and began violently slashing at her. The assailant struck a number of gashes upon her, leaving her a bloodied mess. She would need multiple stitches and staples to close up the slices on her hands. I know nothing more about the event, but somehow they managed to get away or perhaps somebody stepped in to save her. We can only hope the violent aggressor got caught and will be punished to the full extent of the law. Hearing this, I was absolutely disgusted and appalled at humanity's potential for evil. Man is indeed, as Nietzsche called him, the sick animal. Story #3: When I got into work on Monday morning I had an e-mail from my co-worker titled "Look mom, no hands!" Attached were four pictures showing something I did not know was even possible. A rat snake had crawled up the side of his (my co-worker's) house in pursuit of a bird's nest. He promptly removed it with a hockey stick and let it slither off into a bush somewhere but, sure enough, the next morning there it was again vertically crawling up the wall in pursuit of some tasty bird eggs. I'd never known snakes could climb walls. This just adds a whole new element to how scary they can be. It's funny that the encounter happened when it did because I had been talking a lot at work lately about wild snakes and how I hadn't yet experienced one. I'd wondered if everybody else in the office, having lived in Texas for a while, had encountered these creepy reptiles in the wild before. Here's a video of a snake climbing up a brick wall which is exactly what this sucker was doing on that second morning. Story #4: It's been raining pretty heavily here in Austin for about a week now. Thunder is rumbling outside as I type this. Last Saturday night, seemingly out of nowhere after weeks of dry weather, a massive thunderstorm blasted the city. I've never heard thunder cracks as loud as the ones that exploded above my roof that night. There was also plenty of lightning. Monday morning I surveyed my co-workers to see what their experiences of the storm were like. Brandon, the same guy who encountered the snake, took on a grim tone and told me that his neighbor's house had been struck by lightning and the second floor of their home was burnt to ashes. Luckily, they managed to get out in plenty of time but I imagine it must have been pretty horrific to have to escape their burning home at 3 AM in the middle of a torrential downpour with thunder and lightning. It's clear that there's a connecting thread between all of these. They're all quite violent, for one thing. I will let the reader soak it all in and make their own determinations, though. Whoa. Thunderclap? Wonder what Joyce would make of that? On a more somber note, there is a weird echo here, because on Monday, a woman walking back from a hairdressing appointment was approached by a borderline transient who stabbed her to death on the street in broad daylight. She owned a business in downtown Santa Cruz on the same block that I work. I've been trying to get my mind around this one, not that that's really possible. I posted about it here. Besides being tragic, it seems odd that there were these two random stabbing attempts in two places by two different crazy guys.